2016 has been a very busy and successful year across the UK and internationally for Optimum Medical. We’ve launched more new products than ever before and have showcased these across well-attended clinician shows all over the world. We kick-started the year with the launch of our brand new website. It’s easy to navigate for patients and clinicians alike, and it’s loaded with informative content and high quality product videos. Since the new-and-improved website launched, we’ve been inundated with messages from record numbers of patients, requesting samples of our products to try. 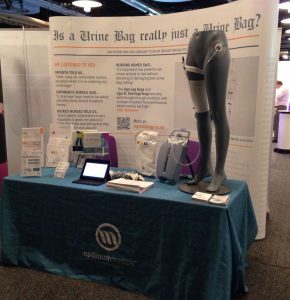 In May of this year, we attended the ACA (Association of Continence Advice) National Conference and Exhibition, where we promoted our newly-launched range of Ugo Leg Bags and Ugo 2L Drainage Bags. 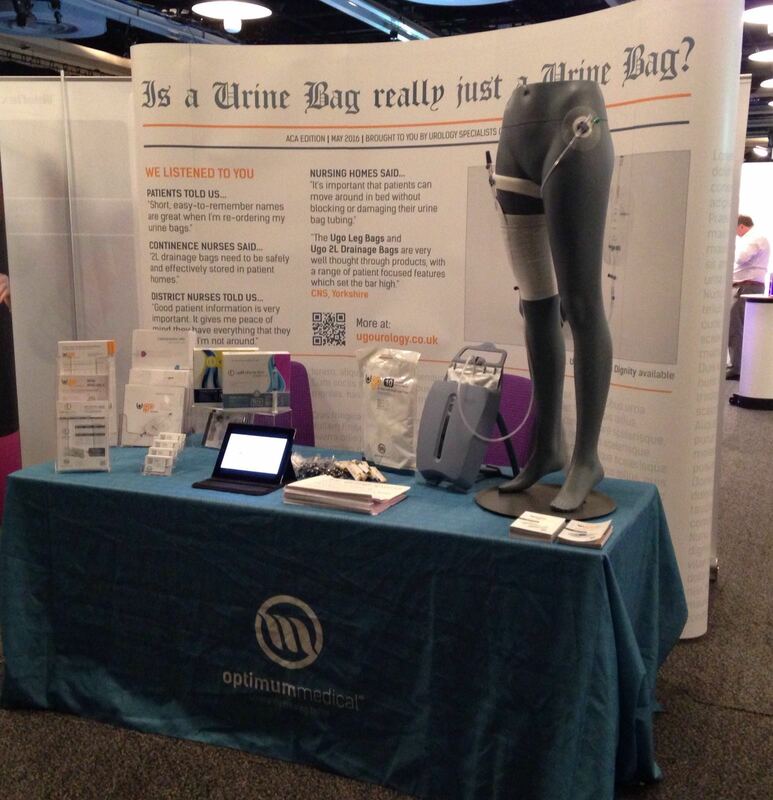 We posed the question to clinicians – ‘Is a urine bag really just a urine bag?’ The answer was a resounding ‘No’! 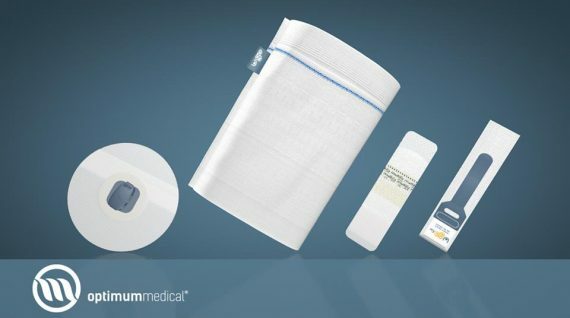 Clinicians were impressed with the patient-focused product features in our bag range, including the short silicone outlet tubing for kink-free link drainage; the transparent, universal stepped connector for secure fitting into indwelling catheters and the protective, resealable bag which contains our Ugo 9 and Ugo 10 2L Drainage Bags. Our Ugo Stand with Dignity joined the range and is available for all patients using our Ugo 2L Drainage Bags. It features a variety of usage options and has been purpose designed to prevent infection by ensuring the tap doesn’t touch the ground. Summer 2016 saw the launch of the latest product in our catheterisation jelly range – OptiLube Active CHG Free (with Lidocaine 2%). The introduction of OptiLube Active CHG Free means we now offer the largest range of catheterisation gel currently available in the UK. 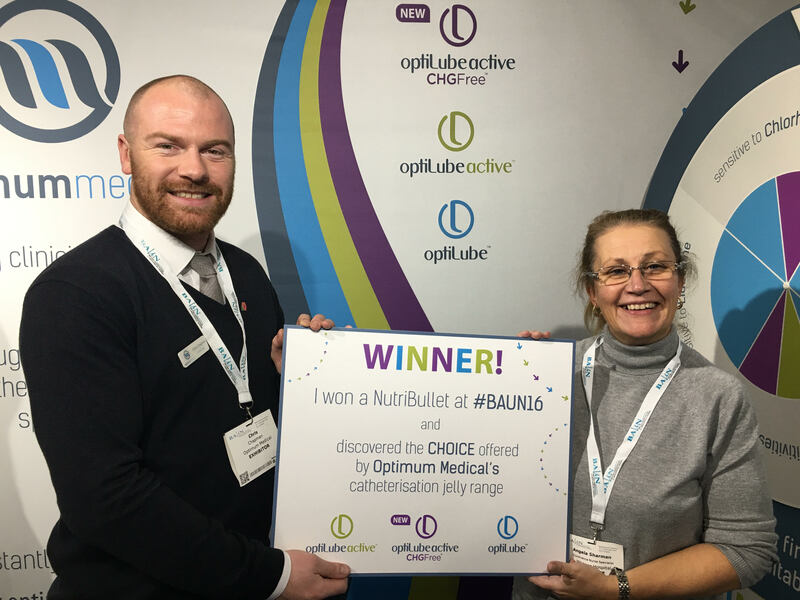 OptiLube Active CHG Free joins OptiLube Active (with Lidocaine 2% and Chlorhexidine Gluconate 0.25%) and OptiLube (without active ingredients) to complete the range. We introduced this new product to clinicians at BAUN 2016 in November. Plenty of clinicians came over to our exhibition stand and learned about the choice offered by our catheterisation jelly range by playing our ‘Spin to Win’ game and creating a match. To read more about OptiLube Active CHG Free, click here. 2016 also saw the launch of Optimum Delivered – our new home delivery service. Optimum Delivered provides a reliable and stress-free service, discreetly delivering essential urology supplies to patients nationwide. You can find out more about Optimum Delivered on our website: www.optimumdelivered.co.uk. We’re excited from the initial success of Optimum Delivered and can’t wait to further promote this great new service in 2017. What’s happening in the UK in 2017? Next May, we’re attending the ACA (Association of Continence Advice) Annual Conference and Exhibition in Belfast. For clinicians unable to attend this event, there’s still the opportunity to meet us on stand 26 at the brand new ACA National Study Day in January 2017! This event is taking place in Manchester. Topics covered during the day will include urinary tract infections (UTI’s) and catheter care. We’ll also be at BAUN 2017 in November, which is going to take place in Glasgow. To find out more about these exhibitions, as well as other events we’ll be attending throughout the year and new product updates, you can keep checking our website or follow us on social media. Not only did we see huge success in the UK in 2016, but internationally too. 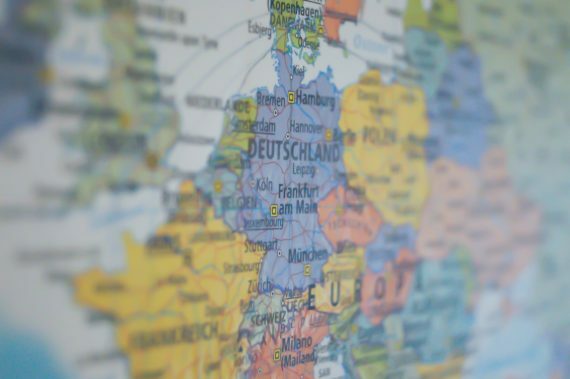 Click here to find out more about some of the fantastic international shows we went to this year.